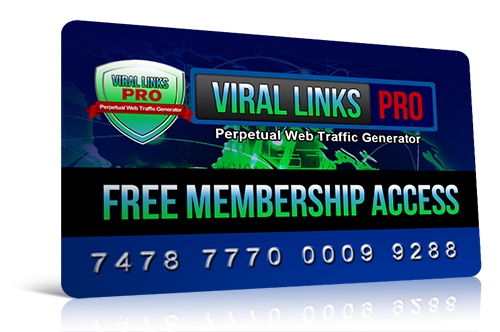 "Get Your Hands On This Simple, Yet Powerful Viral Mailer And Send Targeted Leads To All Your Websites Day In And Day Out"
We've made it really easy for you to get real, interested visitors to your websites with our easy-to-follow credit based traffic system here at Viral Links Pro. Set up your ads and they will be seen by our active member base of 2,500+ entrepreneurs and opportunity seekers. This is the perfect place to advertise if you're an affiliate marketer, entrepreneur, network marketing professional, website owner or just starting out in internet marketing - FAST, cost-effective advertising at your finger tips! Quickly and easily send your email message out every day for free. Leverage this list and reach thousands of potential prospects. Your ads seen by members recruited from web's top traffic resources. Viral mailers work for those that use them regularly and I go the extra mile for all awesome members to get them real results! But don't just take my word for it. Have a look at what one of our active members have to say. Are you ready to start getting quality exposure for your website? Getting started with ViralLinksPro is easy and it takes a minute to join. YES, Ivan! Sign me up right away! I can't wait to start advertising my marketing offers and get instant traffic at ViralLinksPro.com. I understand, that I will get a free access to this list of highly targeted marketers and I can send 1,000 email messages every day 100% free! Click the button below to join free now. Please register using a GMAL email address! P.S.Use the promo code inside the members area for your welcome advertising!